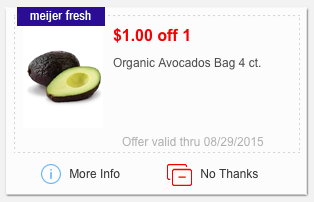 Meijer: $0.49 for Organic 4ct bag! 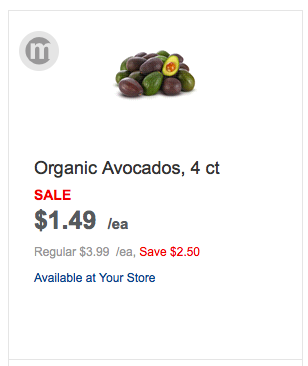 We love avocados in the Shah household so this is definitely one that I will be buying! 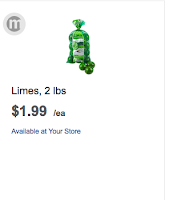 To keep that guac from going brown, and maybe for a cocktail or 2, there is a $1/1 bag of lemon's or limes, 2lb! 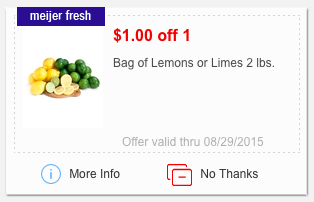 I will be buying limes as they are cheaper and I also cook with lime juice! 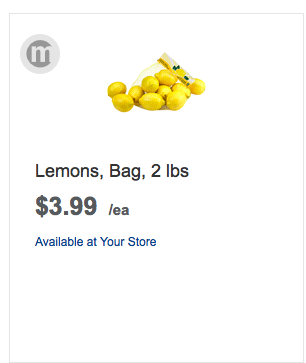 Thank's for the heads up Mzdede Ladydaiy Wright!